I've got a little upcycling project for you today. I've had a lot of people view my yoga pants from a t-shirt post, and this project is very similar. Today I'll show you how to turn an oversized sweatshirt into a pair of sweat-shorts, perfect for sleeping, lounging, yard work, or exercising. At the end of winter I found this 5X sweatshirt at wal-mart for $1. It would be pretty difficult to find this much sweatshirt fleece at a fabric store for this price. So, this project set me back one dollar, but you could use any old sweatshirt or t-shirt to make some lounge shorts for yourself. I'll show you how. The construction of these shorts is super simple, but the cutting of the shorts is key. First off, cut off the sleeves of the shirt at the scythe. You want to maintain the curve of the arm, as this will end up being the crotch seam. 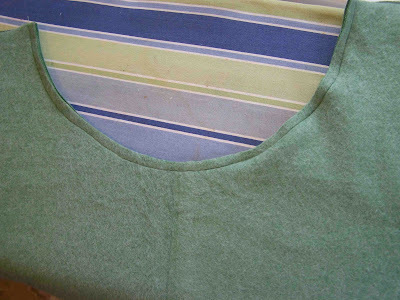 Next, make a straight cut just below the neckline of the sweatshirt. 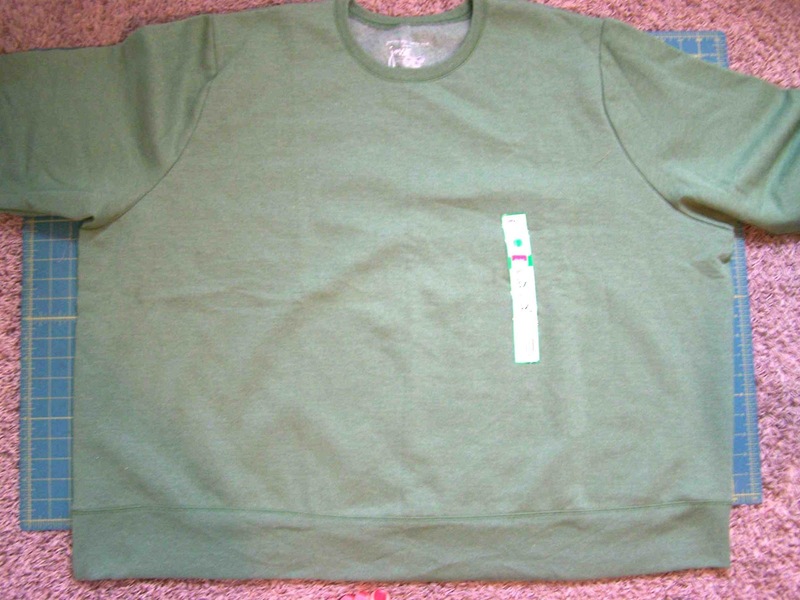 Cut the waistband off the bottom of the sweatshirt (save to act as the waistband for the shorts). Cut down the center of the remaining piece. Unfold your two pieces, and place them right sides together, matching up the curve of the arm scythe. Pin in place. Sew along the curve using desired seam allowance. Clip the seam along the curve (not shown). Press the seam open. Normally the side seams are sewn with right sides still together, but I wanted to create a side detail, so I turned my shorts right side out, matched up the sides, and used a 1/2" seam allowance to sew the leg seams. Make sure that your seams are sewn evenly. 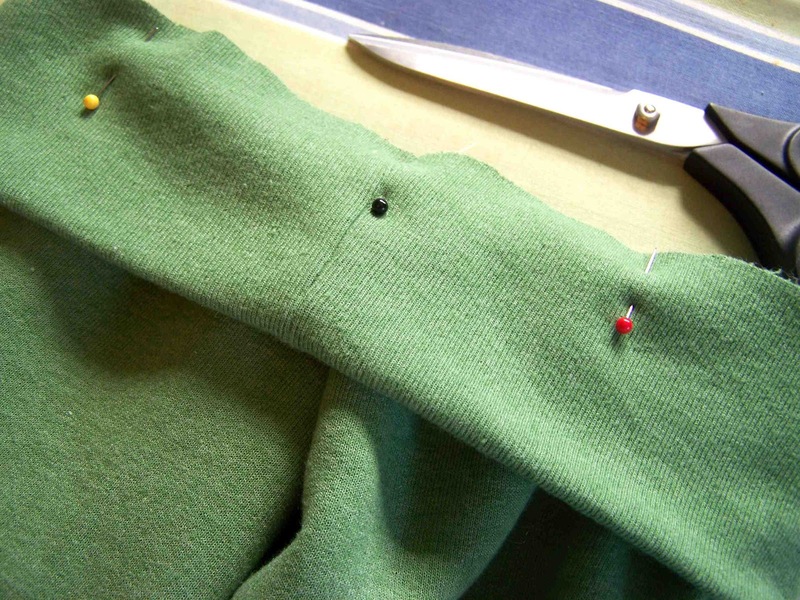 If you want a more traditional short, pin the sides of the legs with the right sides of the fabric facing each other, and press the seam open. Try on your shorts and make sure that they fit properly. You can make them smaller by taking in the side seams, and narrow the leg by taking in the inside leg seam. I had to do this due to the fact that the sweatshirt was so large to begin with. 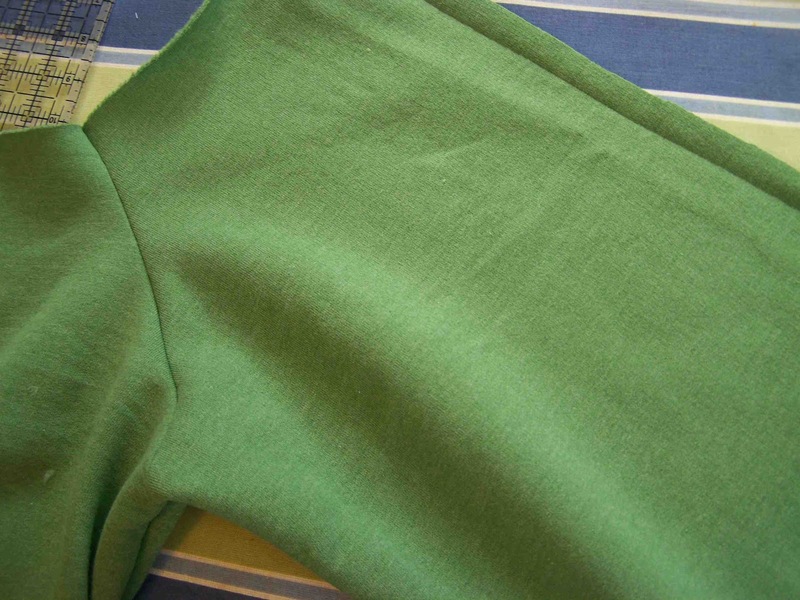 Don't be intimidated-we're making lounge shorts here. Just try to take them in evenly on each leg. 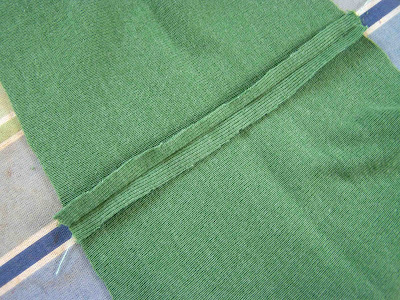 With my shorts still right side out, I pressed the side seams open, and top stitched the seam allowance down, 1/8" away from each raw edge. 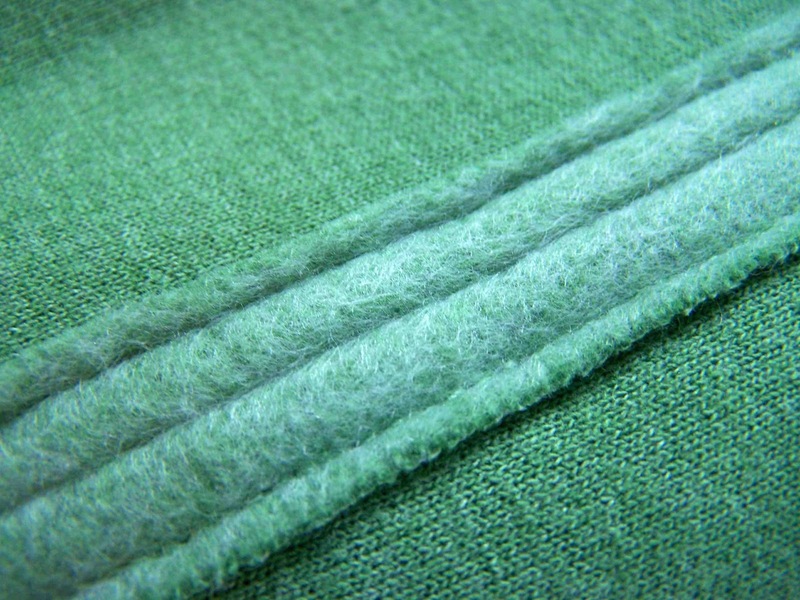 Here's a close-up of the stitched seam. You can tell that the wrong side of the material is slightly lighter than the right side. The contrast adds a bit of visual interest to the really basic shorts (it also takes care of the raw seams-woot woot). It's waistband time. 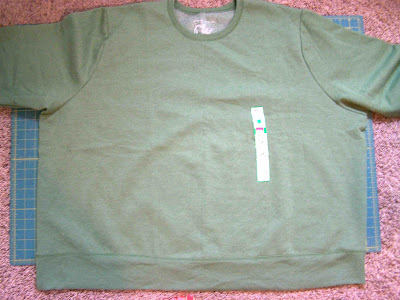 Take the waistband that was cut off of the bottom of the sweatshirt. Mine was a doubled over piece of ribbed knit. It you don't have an existing waistband to work with, ribbed knit is available at fabric stores, and is exactly what you're looking for. Measure the waist of the shorts that you've just sewn. 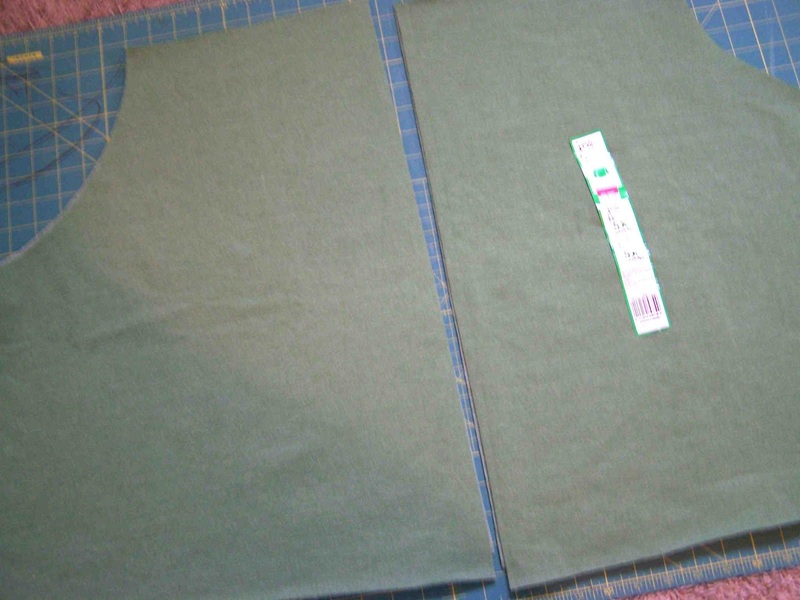 You are going to cut your waistband material to be 2/3 (I did 3/4, but wish I'd done 2/3) of the your short's waist measurement, plus 1/2". 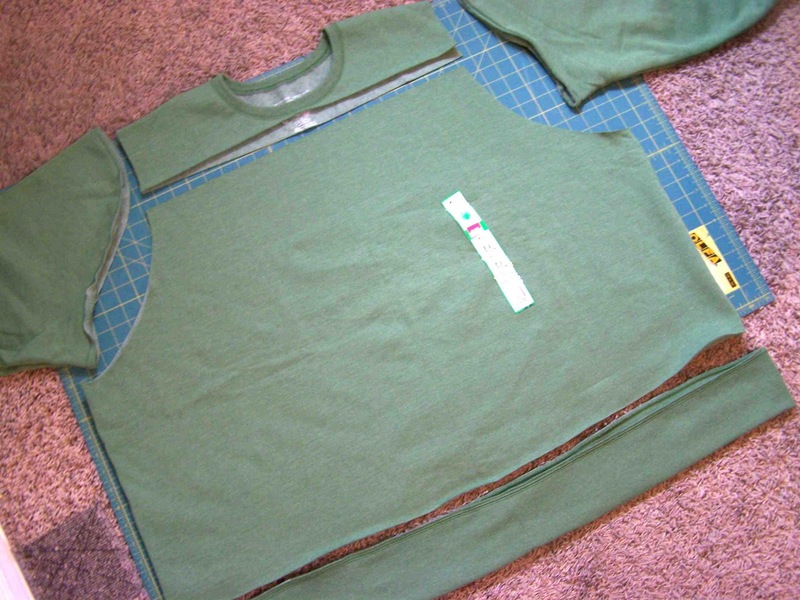 Cut your waistband to the correct length. Meet up the raw edges of the waistband (creating a loop). Sew with 1/4" seam allowance. Press the seam open. 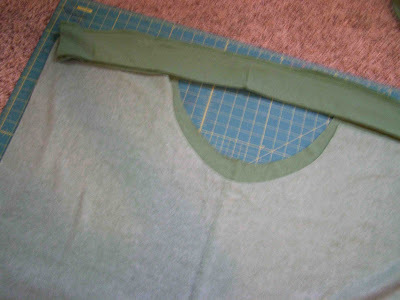 Fold the waistband in half, encasing the seam. If you are working with a piece of ribbed knit, I'd suggest having it about 7" wide x 2/3 of the waist measurement. Divide the waistband into quarters, and mark quarter points with pins. Your side and crotch seams should be the quarter points on your shorts. 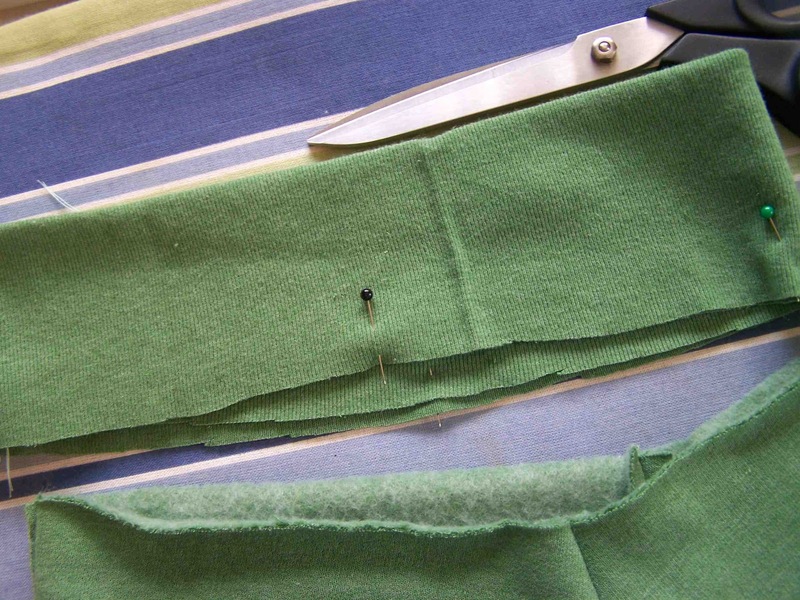 Pin the raw edge of the waistband to the waist of the shorts, right sides together. 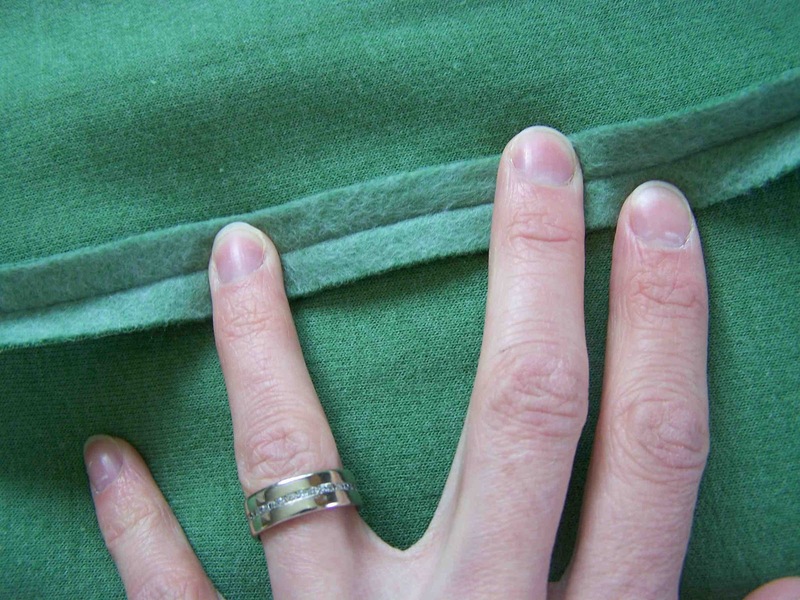 Ease the fabric between quarter points, and put an additional pin between each pin. 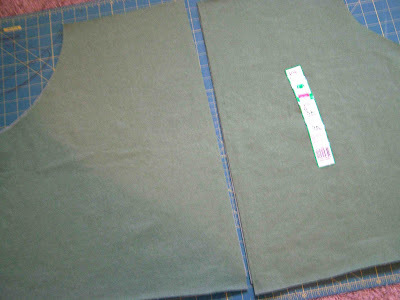 Attach the waistband to the shorts using desired seam allowance. 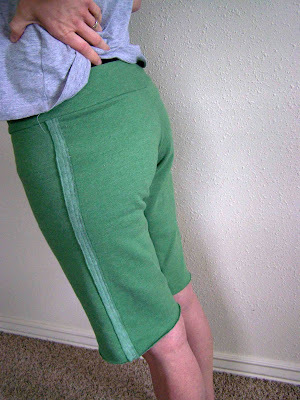 Stretch the waistband as needed as you attach it to the shorts. I left the bottom edge of the shorts raw. I suppose that you could hem them if you wanted to, or do some top stitching along the bottom. Feel free to bedazzle the backside of the shorts as well. You know nothing says classy like sweat shorts, and a sparkly bottom. Maybe I should put Mom bum, or Wide Load on the back. Alright, my bum isn't that wide, but I have definitely noticed some flattening and spreading going on. Maybe I should start running now that I have a new pair or shorts....or perhaps sit around in them all day at my sewing machine. I am pretty sure that if I made these, I would be in them. Every Day. These are super cute! They look really comfy too. These would be my mom bum gardening shorts. Might as well make sure every can see it. No really though thanks for the tutorial. These really do look super comfy and I've got a perfect sweater for this. Love this idea! It is a must try for someone who stays around home. Gotta try it myself. Thanks for sharing. Comfy and super easy! I want these for sleeping... I'll check out large sweatshirts in my next visit to our local thrift store. I just read through this posting and had to express gratitude personally. Very clear and succinct! I just made these today. I used an old sweatshirt of mine and they are a bit too tight (more incentive to exercise I guess). My sweatshirt sleeves were much straighter than yours and I think that is where my problem occurred because the front is great, but my rear was hanging out the back. I added a shoestring in the waistband as a tie to fix that. It was a great project. I'm Definately going to be trying this again with a little larger sweatshirt! Great tutorial. I followed it easy and this is only the third thing I've seen. It feels so nice to find somebody with some original thoughts on this subject. Really thankful to you for starting this. Really excellent creativity! Thanks. I do not buy clothes often so the other day looking for a pair of yoga style pants I was overwhelmed at the prices. So thought there has go be a solution and "wow" this is it! I found a sale on oversized tee shirts and found so any great ideas like yours which yours is the only one for pants. On your self-designed sportswear, we want you to be happy and satisfied. We are ready to help you in every step of the way. Any questions that you have can be discussed either by phone, email or through our designer for Sweatshirt . And our design team is ready to help and discuss any ideas and concepts that you may have.